It appears that even though I’ve actually written a couple posts since last fall, none of them have been all that focused on my triathlon endeavors. Granted, while I know that my posts that are unrelated to racing are usually the ones people like the most, I feel like I still need to honor the original mission of this blog by providing an update on my athletic life every now and then. I believe my last race-related post found me riding the high from Worlds and my subsequent marathon. That high lasted well into the new year, and put me in a good place going into this season. In November, I started working with a coach that I met at my gym. Kimberly and I hit it off right away, and she’s helped me make big improvements in all three areas of my game. It is also with her support that, despite living through the most miserable winter we’ve seen in decades, my motivation and focus was higher than it’s ever been in the off-season. 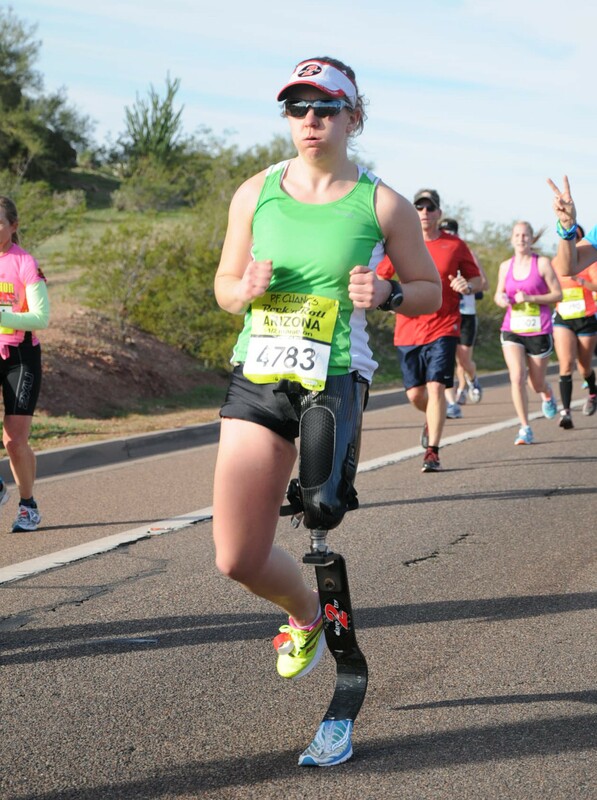 During the pre-season, I ended up racing two half marathons — a January race in Phoenix and an April race in St. Louis. In the process of training, I found a whole new appreciation for winter running (I now believe that 30 degrees is the ideal temperature for anything over 5 miles) and completely fell in love with the 13.1 distance. It’s really the perfect distance as far as I’m concerned — long enough to require quite a bit of strategy and endurance, but short enough that you can get some decent speed going. After the April half, I switched my focus to sprint distance triathlons, which will remain the top priority through the end of August. There have been a lot of changes to the Para Elite racing circuit this year, and I am trying my damnedest to go with the flow without losing my sanity. In case you haven’t heard me talk about this in person, allow me to catch you up to speed. 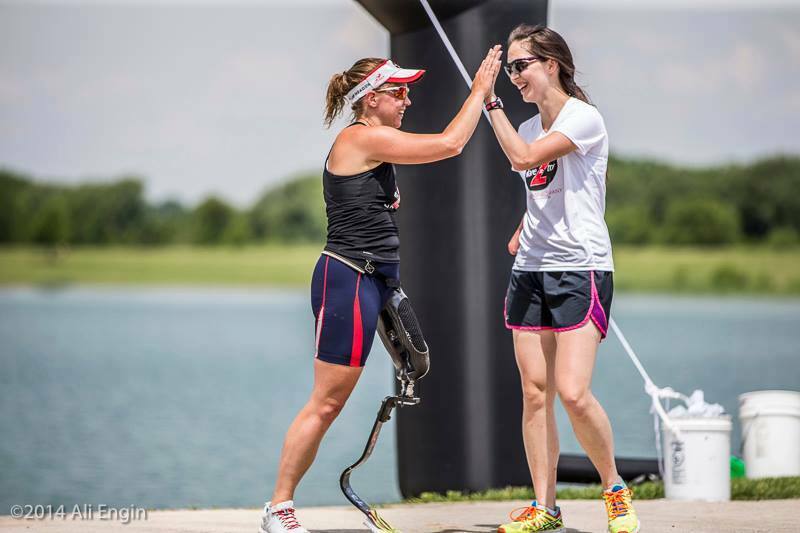 All Para Elite racing is governed by the International Triathlon Union (ITU). This year ITU changed the the system it uses to classify para-athletes, moving from a fairly straightforward one based on disability type to a much more complicated system based on a series of research functional tests. 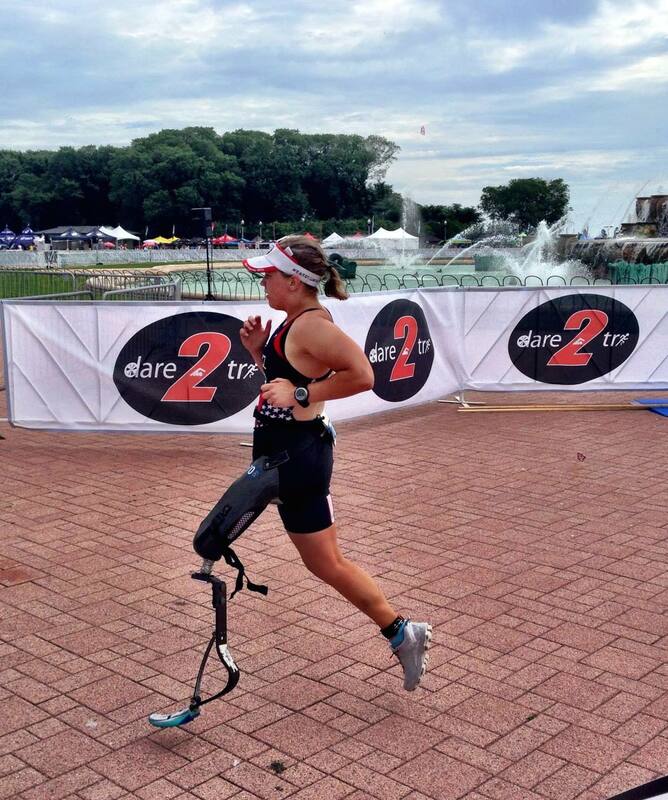 So while in the past I competed almost exclusively against above-knee amputees, my division now consists of people whose disability “severely impacts their ability to perform a triathlon.” If you don’t understand what that means, you are not alone. We are all trying to understand these changes together, and while the end goal is for the new classification system to ensure fairness in competition, the last couple months have proven that there are still some issues to be worked out. ITU has also changed the way athletes qualify for World Championships, and will be using a similar system to determine who qualifies for Rio 2016. Whereas in previous years, USA athletes earned spots at Worlds based on their performance at Nationals, eligibility for Worlds is now determined by the athletes that have the most ITU points. ITU points are earned by attending eight designated races held all around the world throughout the year. Athletes must apply to these designated races (selection is presumably based on past performance) and find out if they are on the start list 30 days before the event. This is how ITU structures Elite racing on the able-bodied side, and while I respect that they are trying to treat us like our able-bodied counterparts, I struggle with the fact that most of us para athletes lack the luxuries that make regular international racing on 30 days notice a viable possibility. Nevertheless, this is the game we all have to play, so I am spending my summer chasing points with the hopes of it all paying off at the 2016 Paralympics in Rio de Janeiro. Speaking of Rio…the other factor that complicates things is the ambiguity surrounding the 2016 Games. For the last couple years, my sights have been set on Rio, and every workout, race, and life decision I’ve made has had that in mind. But true to form, it’s not as straightforward as you would think. While there are currently five medal categories (classifications) in ITU competition, in Rio, there will be three, meaning that two categories will be cut entirely. Given our lower rates of international participation on the female side, my category of “severely impaired” (gotta love that phraseology) is in danger of being cut. This very real possibility has been in the back of my mind all season, and as much as I wish I could rise above it, its proven to be a tough mental challenge for me. I have to be honest and say that my heart has not been in the sport the way it has in the past. But it’s hard to put 110% in to something that could end up being out of your control. I spent a lot of the last few months in a state of ambivalence about my future in triathlon, wondering if it really made sense to invest so much time and hard work into something that could very well be in vain. However, about a week ago I decided that I need to operate as if Rio is still an option. At the end of the day, I would much rather see my category get cut but know that I did everything in my power to make this dream a reality than to watch my category make it in and regret not trying. We will have a real answer in October, but for now, I am carrying on as if my category is guaranteed a presence in Rio. With that said, all my big races this year are ITU events, since ITU points will help determine eligibility for Rio. There have been quite a few events in Europe and one in Asia, all of which I have chosen not to go to, in favor of races that are closer to home. My first ITU race of the season was in Dallas at the beginning of June. While my swim and bike were decent, the 95-degree temps got to me on the run, making for a particularly challenging 5K. Despite the less than ideal conditions, I was able to finish first, earning top points and obtaining a nice little cushion going into the rest of the season. 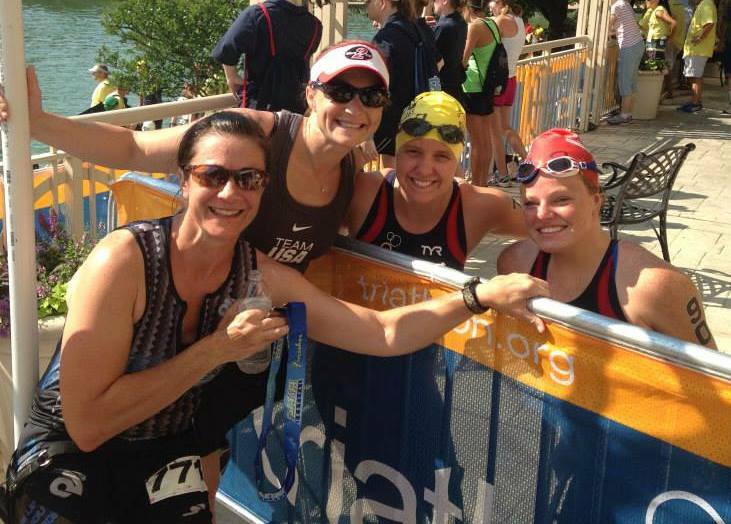 Next up on the ITU circuit was Chicago at the end of June. 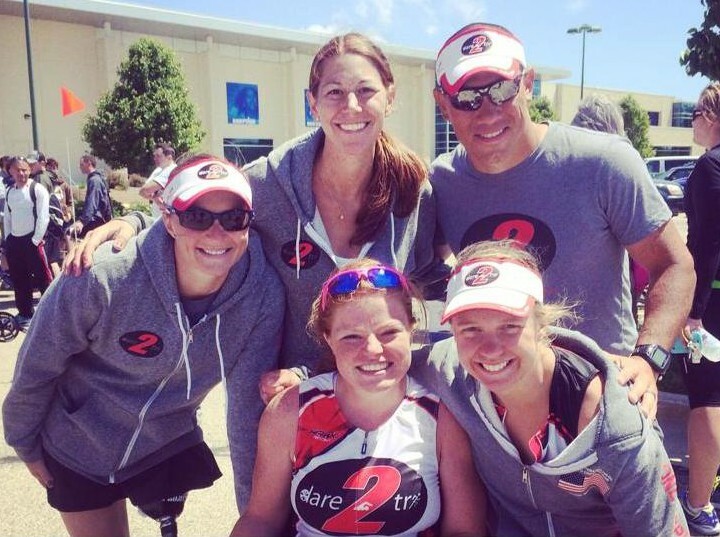 Given that there are only eight cities in the ITU Para circuit, the fact that one of these races was right in my own backyard was a pretty big deal. A hometown race meant the luxury of sleeping in my own bed on race eve, and taking advantage of all the local support. The 7.5-lap bike and 3-lap run (which would have been a nightmare had it been anywhere else) meant that I got to soak up all sorts of support from my coach (who did a PHENOMENAL job counting laps) and my dare2tri friends who were on course. 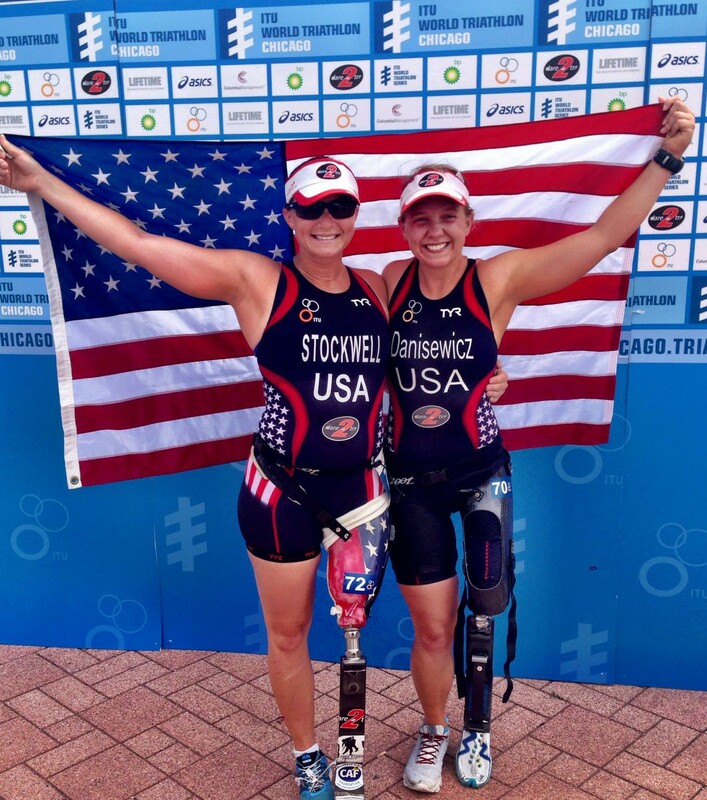 Chicago is truly a perfect city for triathlons, and I always love the chance to race in this gorgeous city. Finishing first in my category was just the cherry on top of a fantastic weekend. I still have two more ITU events on the schedule this year: Magog (a little known city in Quebec) in mid-July, and Edmonton (a slightly better known but still kind of unknown city in Alberta) at the end of August. The latter will serve as the site of Para World Championships, where my goal is to defend the title I earned last year. But in the meantime, my main goal is to make sure that I do not lose sight of the reasons why I love triathlon, and to hang onto the thrill of competition that fuels everything I do. I am still very much enjoying my training, however I feel like I’m missing the competitive fire that I possessed a couple months ago. I’m hoping to reignite that fire in August, when I compete at USA Age Group Nationals in my hometown of Milwaukee. Since almost every race I do these days is strictly against other paras, I’m excited to race in a field with a deeper competition pool and see how I stack up to my able-bodied peers. Beyond anything else, my real goal in triathlon is to continue to have fun. I truly believe that when the sport stops being fun, it has lost its purpose, and I never want to be in a position where that is the case. While the current state of affairs has made having fun more difficult than it should be at times, I think I’m doing a decent job of curbing that by finding joy in every workout, surrounding myself by good people, and throwing in the occasional “just for fun” race. Because regardless of points, podiums, and the Paralympics, that’s really what it’s all about — having fun and loving what you do.